That's my dear British friend Linda Ringo - how I miss her! We lost track of each other many years ago and I can't find her anywhere. She had a sister, Carol, who was a George fan. 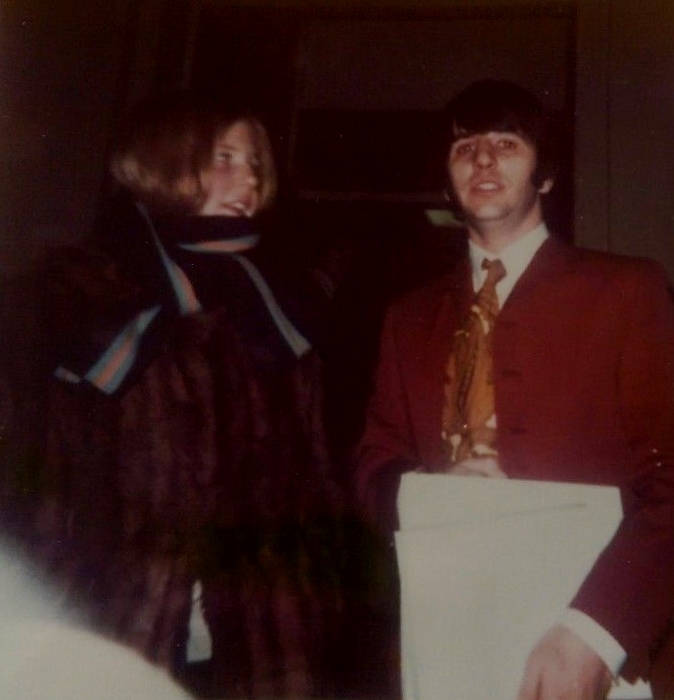 This looks like the day of the Hey Bulldog session/filming - 11 February 1968. He's wearing the same shirt/tie.